We aim to diagnose and understand the causes of your symptoms. Temporomandibular Joint Dysfunction (TMJ) occurs when the muscles that control jaw movement become painful and normal function is restricted. The longer the condition is neglected, the more difficult it can become to treat, and further related problems can develop. This can result in a likely decline in the patient’s quality of life. 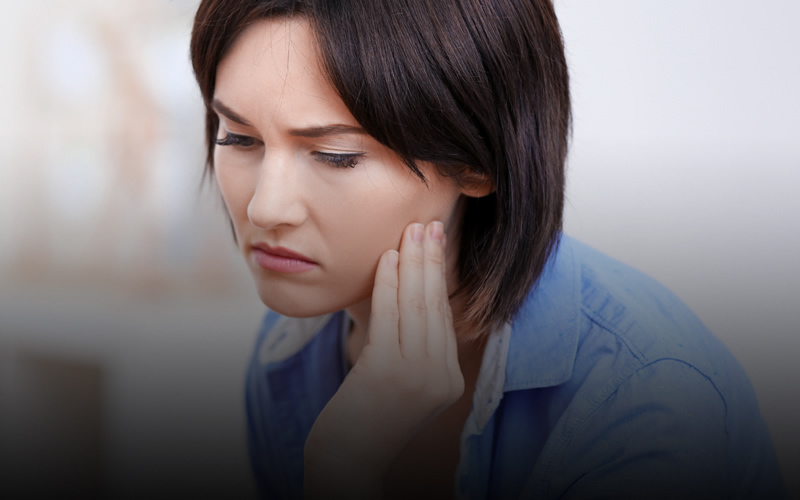 The exact cause of TMJ Disorder can often be hard to determine as every case is individual. It could be due to an accumulation of a number of different factors such as stress, jaw injury, excessive teeth grinding or genetics. Symptoms of TMJ Disorder include a painful jaw, pain in and around the ear, pain around the cheek area, or pain around the temple. If the condition is left for too long, then headaches and migraines can also develop. At The Dental Gallery, our dentist will assess your condition carefully, aiming to diagnose and understand the causes of your symptoms before advising on the most appropriate treatment. In some circumstances a surgical solution is required; however, there are many alternative non-surgical treatment options available that can help address the problem.